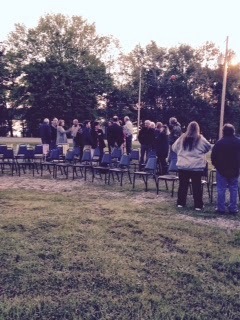 Good attendance at the Lake Eddins Sunrise Service 2015 sponsored by our Anchor Club. Message was provided by Brother Macon Phillips of Enterprise Baptist Church. Music by J.D. and Shelly Rivers.